Maine’s oldest continuously run marathon will celebrate its 35th birthday this weekend, and one of the state’s running legends will be on the starting line. 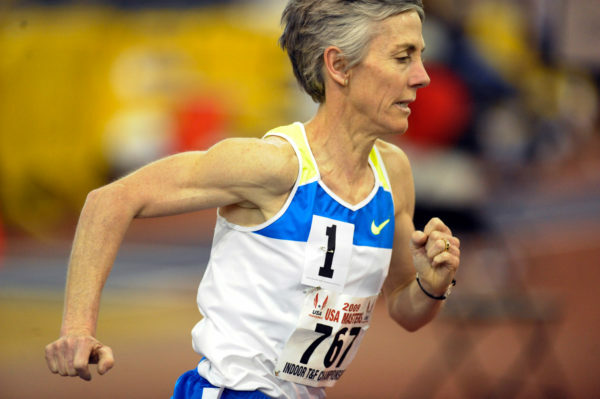 Joan Benoit Samuelson, one of the pioneers of women’s running in America who won the first Olympic marathon for women in 1984 at Los Angeles, may run her first marathon in her home state at Sunday’s Sugarloaf Marathon. Samuelson is one of 1,600 preregistered runners who will descend on the Carrabassett Valley area for the 35th annual marathon and 15K (9.3 miles) jaunt down Route 27. Samuelson, who recently turned 60, will be joined by another prominent Maine running figure in Michael Westphal of Great Cranberry Island, who is participating in the 15K. The marathon gets underway in Eustis at 7 a.m. while the 15K goes off a half-hour later in Carrabassett Valley. The 15-kilometer race consists of the final 9.3 miles of the marathon course. Samuelson said Thursday afternoon she’s still weighing her options in terms of which race to run, as she’d like to run alongside Westphal. “The main reason to do it was to run with Michael to raise awareness for Parkinson’s [Disease],” said Samuelson, whose friendship with Westphal dates back to when the two were in high school. The pair are teaming up to benefit the Michael J. Fox Foundation. Westphal, like the famous actor, suffers from Parkinson’s Disease. He ran the Boston Marathon in 2016. It was at the Boston Marathon finish line that Samuelson and Westphal came up with the idea of running a race together in Maine to benefit a worthy cause. Runners from all over the United States and Canada, and from as far away as Guatemala, will join Samuelson and Westphal in the woods of western Maine. The field also includes a couple of regional standouts in Bar Harbor’s Judson Cake and Caribou native P.J. Gourneault who, according to friend and runner Evan Graves, are “fit and both ready for a good race” and will be looking to run the marathon in the 2-hour, 30-minute vicinity. Noelle Tuttle, communications director for Sugarloaf, said 1,600 participants — the maximum allowed in the race — are signed up. Registration was capped in February, the earliest that registration has ever closed, she said. Samuelson, founder of the annual Beach to Beacon 10K road race, held every August in Cape Elizabeth, boasts six Falmouth (Massachusetts) Road Race titles and two Boston Marathon victories to her credit in addition to her Olympic gold medal. In 2016, Westphal ran his first Boston Marathon in more than two decades despite battling Parkinson’s. Westphal, who ran at the University of Maine and was a 4:19 miler, became a regular figure on Maine’s road racing circuit during the 1970’s and 1980’s. “It’s an awesome story for the two of them,” said Tuttle, who admitted she was shocked to hear that Samuelson had never run a 26.2-mile race on Maine soil. “We’re glad it’s here at Sugarloaf,” she said of Samuelson’s potential marathon appearance. Samuelson is familiar with the area, as she has trained on the course previously and also enjoys skiing with her family. If she does run the marathon, Samuelson said she wants to shoot for a time somewhere in the 3-hour, 30-minute range. Route 27 will remain open while runners are on the course, but drivers are urged to use caution and to avoid the area between 7 a.m. and noon if possible.